PFIZER, THE LARGEST pharmaceutical company in the US, has said it is blocking use of its drugs in lethal injections, which means all federally-approved drugmakers whose medications could be used for executions have now put them off limits. “Pfizer makes its products to enhance and save the lives of the patients we serve. Consistent with these values, Pfizer strongly objects to the use of its products as lethal injections for capital punishment,” the company said in the statement made public on its website yesterday. The company’s announcement has limited immediate impact. Its action is an enhancement of a previous policy that follows Pfizer’s $15.23 billion (€13.5bn) purchase of Lake Forest, Illinois-based Hospira Inc last year. Hospira had previously prohibited the use of its drugs in capital punishment, as have several other drugmakers. The development means the approximately 25 FDA-approved companies worldwide able to manufacture drugs used in executions have now blocked the use of the drugs, according to Reprieve, a New York-based human rights organisation opposed to the death penalty. “Pfizer’s actions cement the pharmaceutical industry’s opposition to the misuse of medicines,” Maya Foia, Reprieve director, said in a statement. Pfizer’s announcement is unlikely to have much effect on executions, which have slowed in recent years as drugmakers’ prohibition on the drugs took effect. However, as recently as last year, records showed that labels of Arkansas execution drugs appeared to indicate that the state’s potassium chloride, which stops the heart, was made by Hospira. Pfizer spokeswoman Rachel Hooper said the company couldn’t speculate on the impact of its decision. Some remaining death penalty states have been using compounded versions of drugs that fall outside of Food and Drug Administration (FDA) approval. Texas, with the country’s busiest death chamber, obtains its pentobarbital for lethal injections from a supplier the state identifies only as a licenced compounding pharmacy. A law that took effect last year keeps the identity of the drug provider confidential. The state has carried out six executions so far in 2016. At least eight are scheduled for the coming months, including two in June. Texas is fighting a lawsuit trying to force it to identify drugmakers from April 2014, when attorneys unsuccessfully filed appeals to stop two executions by seeking the identity of the drug providers, and September 2015, when the state’s secrecy law took effect. There have been 14 executions in the US so far in 2016 in five states: six in Texas, five in Georgia and one each in Alabama, Florida and Missouri. Last year, there were 28 in six states. Some states have passed laws allowing older methods of execution if needed. 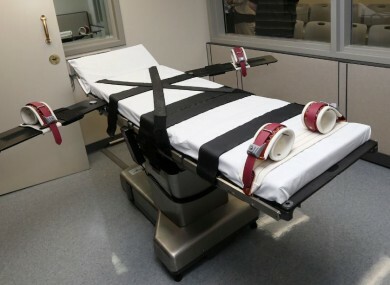 Last year, Utah approved the use of firing squads for executions if drugs aren’t available, while Oklahoma became the first state to approve nitrogen gas for executions if lethal injection drugs become unavailable or are deemed unconstitutional. In 2014, Tennessee passed a law allowing the use of the electric chair if lethal drugs can’t be found. Virginia is debating a similar bill. Seven drugs affected by Pfizer’s policy: pancuronium bromide, potassium chloride, propofol, midazolam, hydromorphone, rocuronium bromide and vecuronium bromide. Email “Pfizer blocks its drugs from use in US executions ”. Feedback on “Pfizer blocks its drugs from use in US executions ”.